Funded through the Heritage Lottery Fund, Worcestershire World War One Hundred is one of the largest programmes of events across England commemorating the First World War. Involving cultural and heritage organisations County-wide, Worcestershire World War One Hundred will commemorate the role Worcestershire played in World War One and tell the stories of Worcestershire people from now until 2018 and beyond. an open day at a former Voluntary Aid Detachment hospital in the region. For find out more about the project, go to the project's website www.ww1worcestershire.co.uk, follow them on Twitter or like the project on Facebook. The museums worked with researcher Dr. Rebecca Wynter to complete research about the first female RMO at Worcester Infirmary in 1915. The research is available for download. The museums worked with researcher Dr. Alice Brumby to complete research about the impact that the First World War had on medicine and healthcare in Worcestershire and on Worcestershire's residents. The research is available for download. Worcester’s medical museums have appointed (Feb 2018) a Researcher to study the impact that the Great War had on the mental health of both the residents of Worcestershire and those involved in war work that were treated in the County. The Researcher will use archives, including the Powick Hospital patient records, held at Worcestershire Archive and Archaeology Service, to answer questions about the impact that the First World War had on the type of conditions treated and the numbers of patients entered or discharged during this period. We hope that we will find out if it is possible to measure any impact of the First World War on mental health, and what this means in the wider context of mental healthcare at this time including the broader picture of what was called ‘shellshock’. The found research will enable visitors to comment on the subject matter via the medical museums’ website and social media, display panels at the George Marshall Medical Museum and The Infirmary, and the ‘Debating Space’ at The Infirmary. Findings will be published in a mini booklet. who was cared for at Battenhall VAD Hospital? From January until April 2017, we worked with Hanley Swan Primary School to bring them knowledge about what happened at home during the First World War. Specifically, the creation of Voluntary Aid Detachment hospitals to share with them the former hospital closest to their school - Boynes House, now the Boynes Care Home. We visited the VAD exhibition 'A Happy Convalescence' at the County Museum, Hartlebury, had historical performers from Discover History visit the school and we also visited to recap on the activities. The challenge for the 100 or so pupils was to create an autograph album for The Boynes similar to those found for Hartlebury Castle and Batenhall, also VAD in the First World War. With Charley's help and great imagination from all ages the books were completed and shared with the school and project. On 22nd April 2017, Worcester Medical Museums held a very successful event at The Boynes Care Centre, celebrating its life as a former Voluntary Aid Detachment Hospital in Upton-upon-Severn. The Boynes, a Red Cross VAD Hospital under the command of owner Louisa Grice-Hutchinson, opened its doors to 20 injured soldiers in May 1917 and remained open until March 1919. If you couldn’t make it there’s an album of images available on our website here: www.medicalmuseum.org.uk/www100. A number of thank yous are in order, including to re-eanctors Discover History, staff at The Boynes Care Centre, poets Charley Barnes and Mike Alma, James Robertson from Warndon Library and staff and pupils at Hanley Swan Primary School. The event was funded by the HLF and part of the Worcestershire World War One Hundred project. 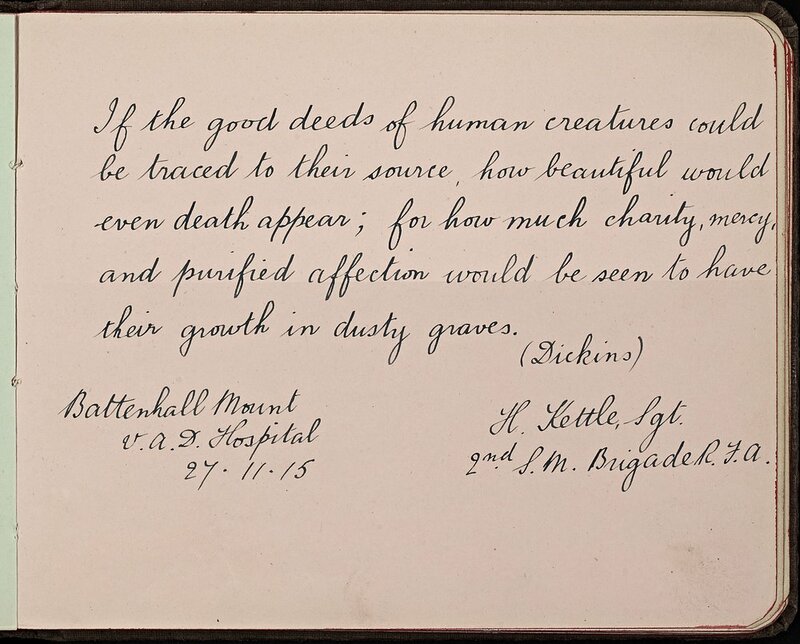 As part the medical museums' involvement in WWW100, the George Marshall Medical Museum has had one of its two autograph albums from the former Battenhall VAD Hospital conserved. 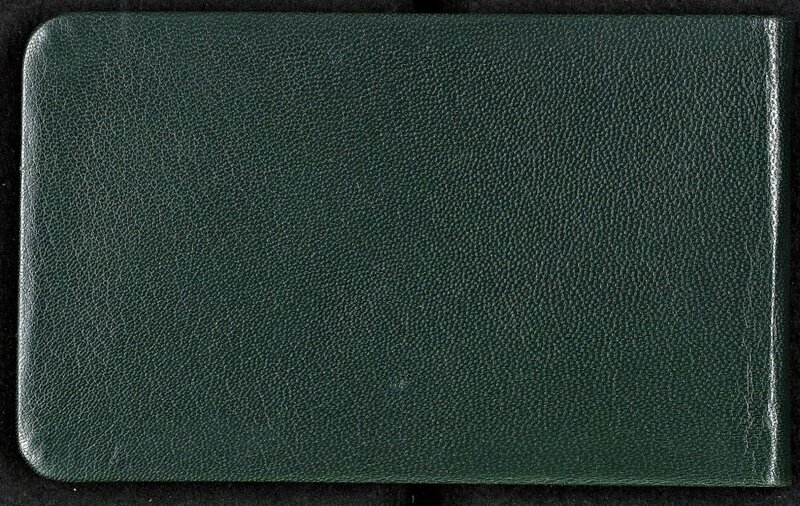 The original book, a small, landscape autograph book was donated to the museum after it was found at an antiques shop. It had a loose sewing structure and straw boards. Some pages were loose, with some missing altogether and self-adhesive tape had been used to hold the outer pages together. The original goat or sheepskin cover was missing. Thanks to the WWW100 grant, we could afford to employ a book conservator, who also works with the collections at the Cathedral Library, to restore the book. 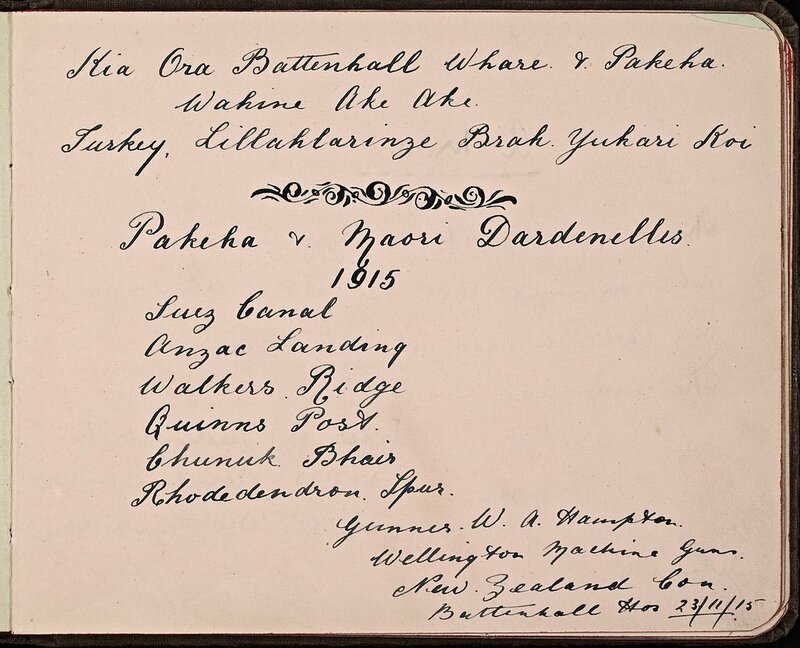 Browse both of the museums' autograph books in the galleries below. Scroll through the images with the forward and back buttons. The George Marshall Medical Museum had already created a prototype board game for Key Stage 3 mathematics students with previous funding from the Museum Libraries and Archives Science in Your World programme and expert help from a Mathematics teacher at The Polesworth School. Thanks to the WWW100 project, the museums commissioned a designer to design and produce 10 hard copies and a downloadable version for playing. The prototype game, based on the First World War scenario of a casualty clearing station was piloted by Key Stage 3 mathematics students from Tudor Grange Academy, Worcester. The game is based upon the George Marshall Medical Museum's collections of objects relating to Lt. Col. Goddard, a Medical Officer during the First World War, and the premise of the casualty clearing station. Students will apply their knowledge of probabilities and percentages to decide the best course of medical treatment for sets of injured soldiers. In playing the board game, students will use their mathematical skills to engage with both history and mathematics in a fun and informative way. The museums will loan to schools in Worcestershire (in the first instance) for free, you can book the game by contacting The Infirmary.